Stainless Steel is metal that contains a minimum of 12-1/2-13% chromium, this makes it resistant but not stain-proof, to corrosion. Chromium oxide content "CrO" creates a barrier to oxygen and moisture, helping to prevent rust formation. To keep your stainless steel product in an as new condition regular cleaning is recommended. When ordering your DOSmith Stainless Steel product consider the location of the product. If necessary seek a recommendation from the experienced DOSmith staff. Stainless steel types vary and certain types are suited to different uses. The most common types are 304# and 316#. The DOSmith warranty does not cover discolourisation. 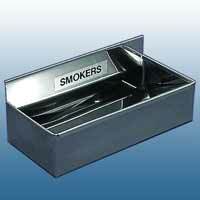 Polished Finish BA: Polished stainless steel has a mirror like finish. Satin finish #4: Satin finish stainless steel has fine lines scratched into the surface. Grade 304# is the standard "18/8" stainless and is the most commonly used stainless steel for DOSmith Products. 304# stainless steel has excellent bending and welding characteristics. 304# stainless is excellent for use indoors and in low corrosive environments ie away from salt water. For beachside installations 316# is recommended. Alternatively 304# can be used if suitably cleaned and maintained on a regular basis or if a powdercoat has been applied. 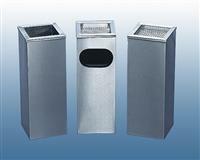 Litterbins, planter tubs, street furniture. 316# stainless steel contains molybdenum. Molybdenum gives 316 better overall corrosion resistant properties than Grade 304#. Particuarly higher corrosion resistance to pitting and crevice corrosion in chloride environments such as marine areas. 316# also has excellent forming and welding characteristics. 316# stainless steel is generally more corrosive resistant to hostile enviroments than 304# stainless steel. 316# is also named as 'Marine Grade Stainless Steel' but it will still show surface corrosion especially if the surface has not been polished after welding or grinding. Coastal architectural fixtures and trim. 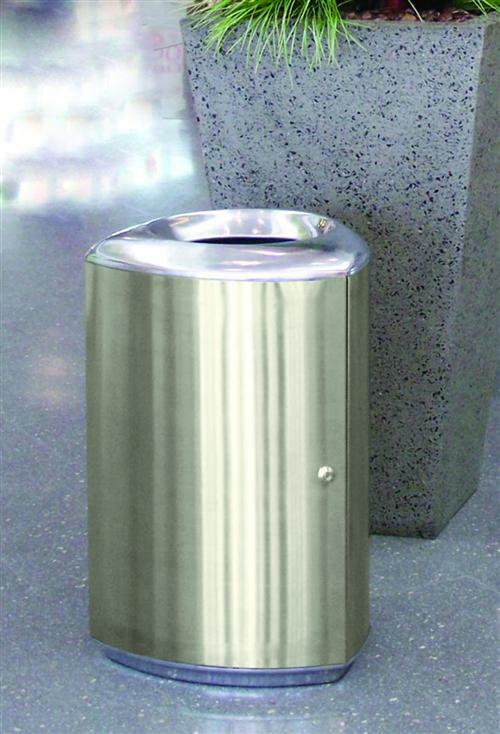 Litterbins, planter tubs, street furniture subject to corrosive environments. Stainless Steel is selected because of its inherent corrosion resistance, workability and its attractive appearance. Regular maintenance and cleaning of all types of stainless steel is required to keep these attractive attributes. Stainless steel must be kept clean for a long material life. Selection of the correct type of stainless steel for the environment is a necessary pre requisite. 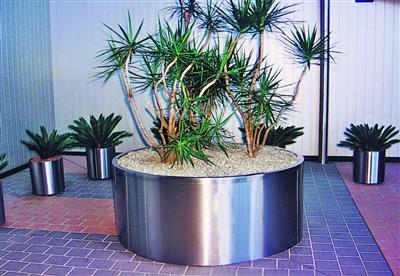 Swimming pool and beachfront areas generally require higher grade 316# stainless steel. Other areas 304#. Dirty, smoggy or industrial environments will require more frequent cleaning programs as will high humidity marine environments. Strong bleaches and chloride based cleaners should not be used on 304# stainless steel. To keep the original appearance stainless steel must be cleaned when it looks dirty. Internal areas: As required by appearance. External areas - Non Corrosive: 6-12 mths or as required by appearance. External areas - Urban: 3-6 mths or as required by appearance. Coastal areas 316# recommended: 6-12 mths or as required by appearance. For routine cleaning ph neutral soap and water is sufficient applied with a sponge or cloth. Fingerprints are best removed using '3M stainless steel cleaner'. Stains and discolourisation generally require the use of a scotchbrite pad to brighten the material and then the application of a cleaner such as '3M stainless steel cleaner' to help protect the stainless steel.